Société first began to support the American Chemical Society (ACS) Scholars Program at the beginning of the 1998 academic year. The program's mission is to help academically gifted students from racial and ethnic groups that are underrepresented in the chemical sciences. When Société began its support, we provided financial assistance to three students annually. We now provide support to six students each year. According to the ACS, 80 ACS Scholars graduated with bachelor’s degrees in the chemical sciences in 2015. Of the more than 1,500 ACS Scholars who have earned an undergraduate degree since 1995, approximately half have entered advanced degree programs and another 200 Scholars are now enrolled in PhD programs. More than 220 Scholars have completed a PhD. 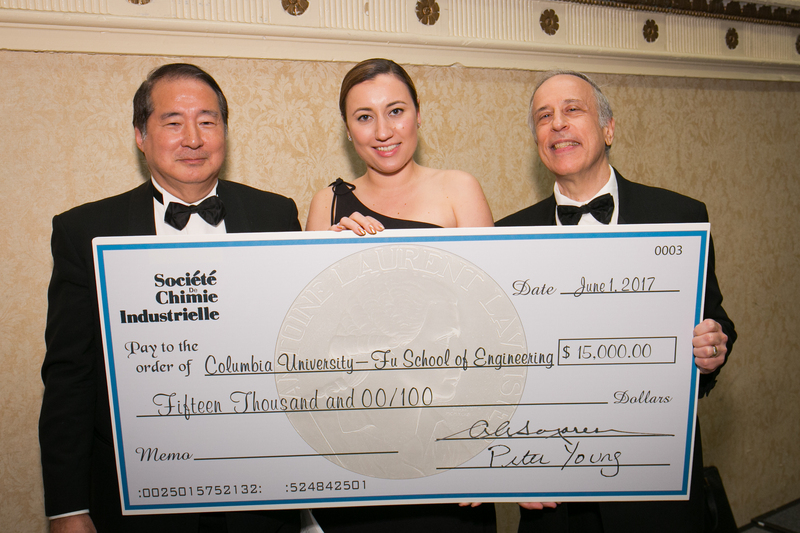 Société also supports three students each year in the Chemistry Summer Undergraduate Research Program at Columbia University. Participants conduct research under the supervision of a Columbia faculty mentor to foster a deeper knowledge of chemistry, to learn and hone research skills, and to get a taste of what a research career would be like. Most of the students are integrated into ongoing research projects allowing them to develop and experience a close working relationship with faculty and graduate students. Students submit two progress reports during the intensive 12 week course. At the conclusion of the program, students turn in a final report and present their research to faculty, fellow students, and administrators at a Summer Undergraduate Research Symposium. Beginning in the summer of 2016, Société launched two new summer scholar programs with New York University’s Department of Chemistry and Columbia University’s Department of Chemical Engineering. IIn honor of 2017 Palladium Medal Winner Seifi Ghasemi, Société has designated a student scholar to receive the Seifi Ghasemi,/Air Products Research Fellowship. The winner is Jacob Robinson, a chemical engineering student at Columbia University. 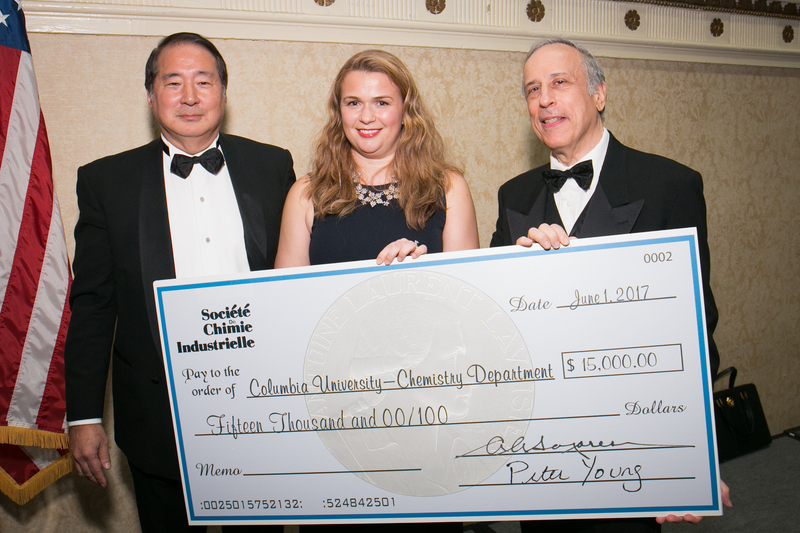 and Earth & Environmental Engineering, Columbia University at the 2017 International Palladium Medal Dinner. 2017 International Palladium Medal Dinner.